The winning sculpture will form part of the permanent display at Ceramic Break Sculpture Park. 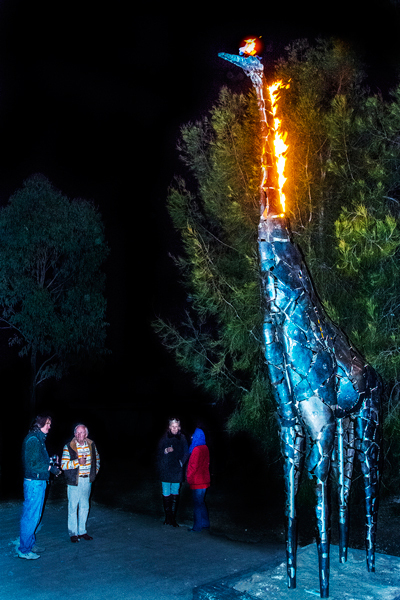 The park opened in 2003 and has over 30 sculptures on display throughout the 3 bushwalks and 3 dedicated art galleries. Ceramic Break Sculpture Park offers guests an art experience with a difference in rural NSW. The goal of this contest is to diversify the park’s collection. Entry is free for all submissions. Applications must be completed online by July 1, 2019. Successful applicants will be notified via email on July 14, 2019. Installation of sculptures to be completed by artist between August 1 and August 23, 2019. Judging will take place after August 23, 2019. Winner will be announced at the exhibition opening on September 7, 2019 between 12-5 pm. The judge is Kerry Cannon, Sculptor, owner/operator of Ceramic Break Sculpture Park. 1.Sculptors may submit up to 3 entries for selection as finalists for the prize. 2.Sculptures must be made of durable materials to ensure they can withstand the elements as long term external exhibits. 3. The design of sculptures submitted does not have to be site specific. 4. OH & S - Sculptures selected as finalists for the prize must not represent any risk or danger to the viewing public or any other person. 5. Installation and removal is the responsibility of the exhibitor. 6. All care will be taken whilst the sculptures are at Ceramic Break Sculpture Park but insurance is the responsibility of the sculptor. 7. All entries will be assessed for creativeness, suitability, durability and workmanship.